Hey Kelly, this is beautiful!! Serious inquiry. I would like to purchase. hi Barabra, I sent you a private email earlier today. if you do not have it, check your junk or spam file. if you still do not have it, contact me on here again. thanks!! This is an amazing work of art. So beautiful. 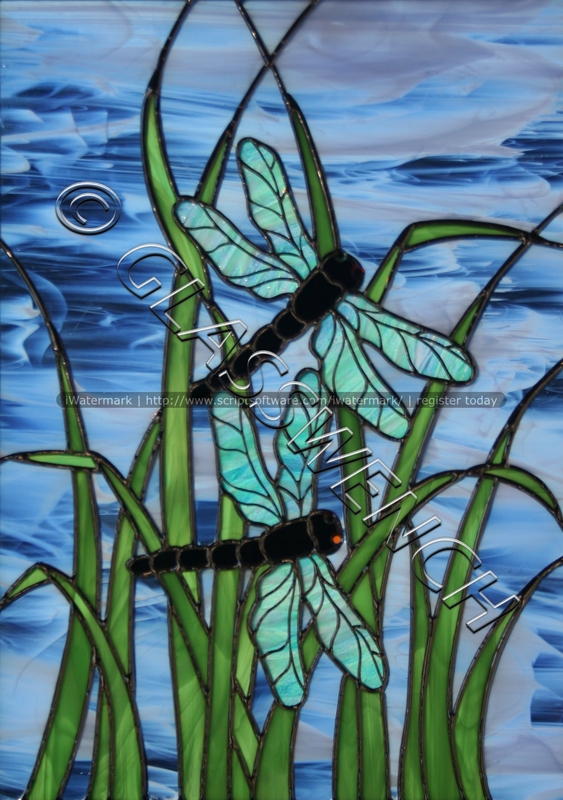 Am interested in possibly purchasing the dragonfly stained glass. Please email me some more info please. Gorgeous and my husband thinks I can TRY to make something similar…HAH..I’m a beginner, but I am surely inspired…thanks! Hi, I sent you a note last week. In case you didn’t get it, sent it again today. Love your work! Thank you and have a great day! Am looking for a dragonfly stained glass or sun catcher for my bathroom. Love this one but would also love to see more. Am seriously interested in purchasing a beautiful piece of art. Wondering if you could incorporate copper. Please email me with info. hi Tina. sorry, but I just saw this inquiry. usually i rec’v am email, but didn’t this time. email me at glasswenchstudio@gmail.com and we can talk about a custom piece for you. I am a primary level art teacher from New Zealand. I am teaching a unit on animals in art. One lesson is about dragonflies. I am also putting together a curriculum to (hopefully one day) sell online. I was wondering if it would be OK for me to use one of your images (Dragonflies in Grass) as an example. I like to ask the artist before I use an image of their work. I would attribute the image to you and link it back to your site.